Now the advantage of self-lubricating bearings is obvious The advantages of sliding bearings are obvious. 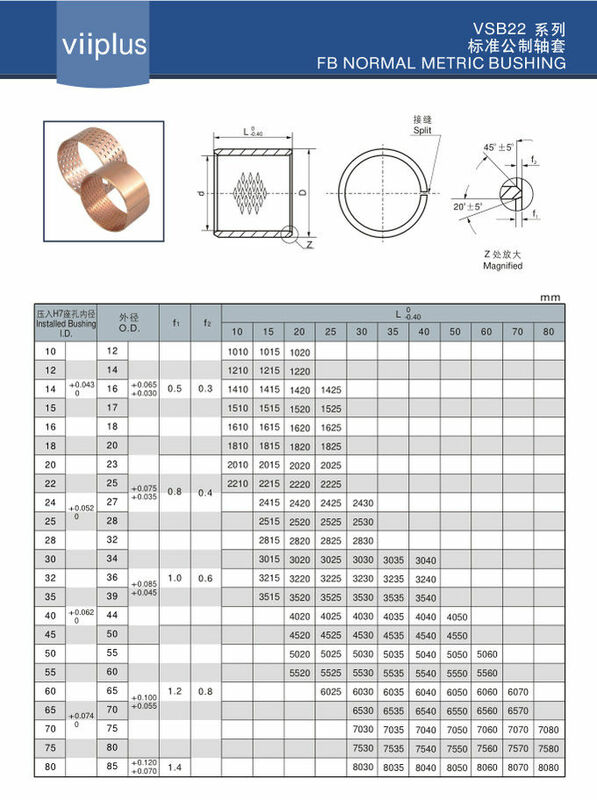 Bronze Warpped Bearings used CuSn8/CuSn6.5P0.1 as base, designed regular oil holes bestrewn working surface, it has high load capacity, well wearing resistance and low friction coefficient, if has been widely applied to transportation machinery, elecator, coiling machinery and agriculture equipment. 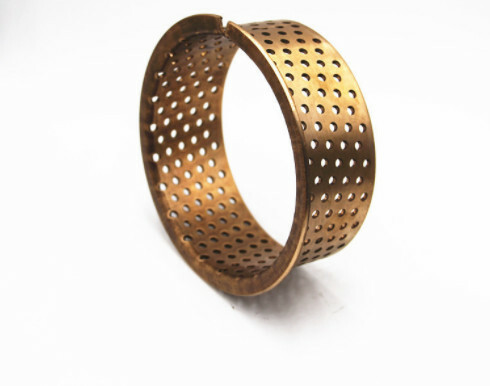 VIIPLUS wrapped bronze bushing is made of tin-bronze CuSn8P with its surface punched with diamond oil sockets which are preserved for oil saving. It has good anti-fatigue, anti-erosion anti-abrasion and load capacity. The products are widely applied in conditions of heavy load but low running velocity, such as on agricultural, buiding and engineering machines. 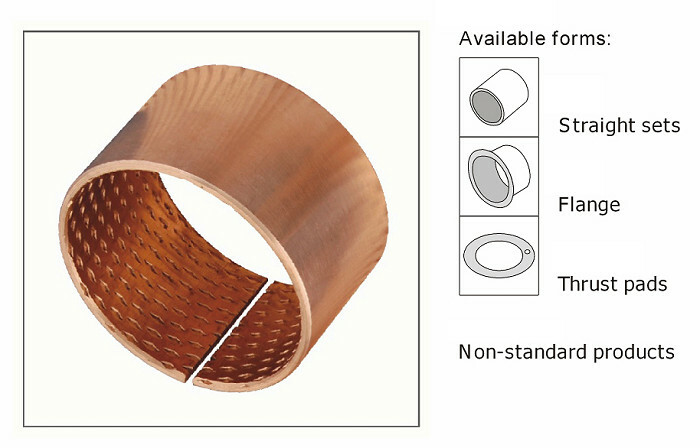 VSB-22 series wrapped bronze bushing is made of tin-bronze CuSn8P with its surface punched with diamond oil sockets which are preserved for oil saving. It has good anti-fatigue, anti-erosion anti-abrasion and load capacity. The products are widely applied in conditions of heavy load but low running velocity, such as on agricultural, buiding and engineering machines. 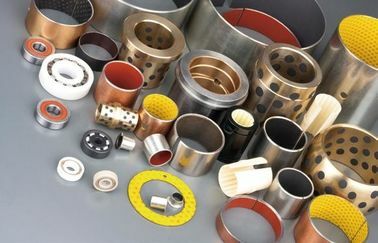 This product is made of high-density tin bronze CuSn8P, and its surface is evenly arranged with lubrication through-hole at a certain Angle and density, which is easy to form oil film at startup, thus reducing friction coefficient.It has good fatigue strength and bearing capacity, corrosion resistance, wear resistance.Widely used in agricultural machinery, construction machinery, construction machinery and other high load low speed occasions. The main features of viiplus bearings 090 and 092 bronze bushes are: high load capacity, high thermal conductivity and good resistance against bumps and oscillations.090 and 092 bronze bushes are made from phosphorous bronze, and are ideal to create couplings with construction steel. 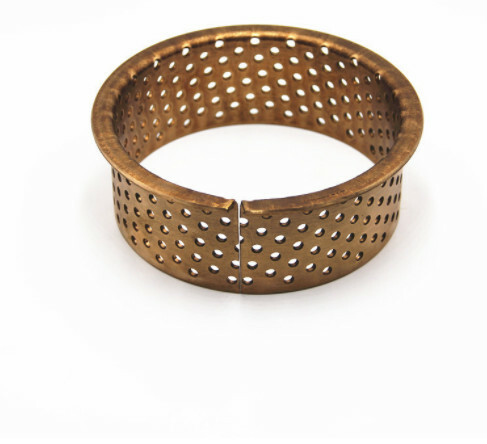 These types of bushes, both cylindrical and flanged, are cut from bronze sheets with a thickness between 1 and 2.5 mm. 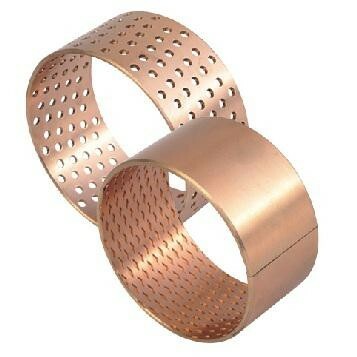 The bearing is wrapped of a cold formable homogenous bronze (CuSn8), which will obtain exceptional material properties. 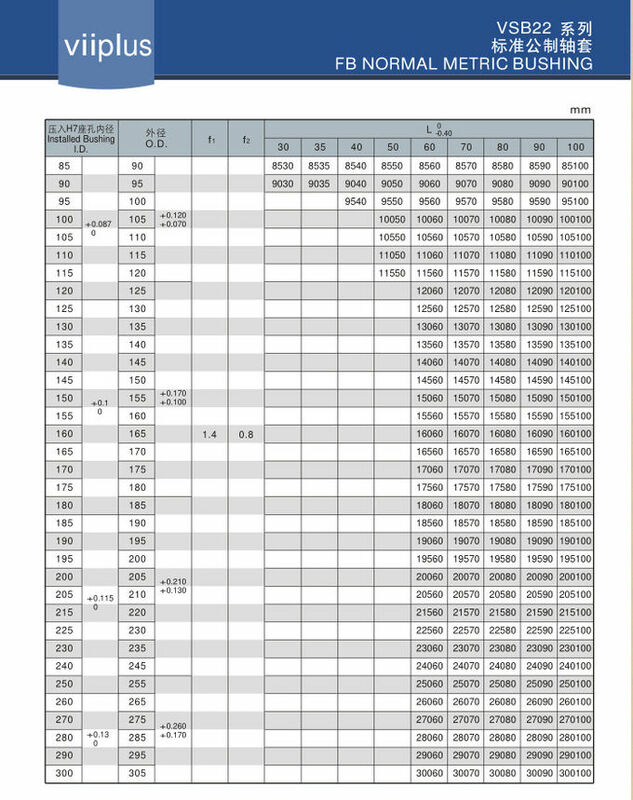 The standard bearing is fitted with diamond shaped lubrication indents on the bearing surface. These indents serve as lubricant reservoirs to rapidly build up a lubrication film in the start movement and there with reduce the start friction. 090 and 092 bronze bushes are very easy to mount in various applications, thanks to their minimal bulk. In addition to being easy to mount, this type of bush is set apart by its excellent sliding capacity and simplified lubrication (long lubrication intervals). (spherical cap pockets) or with diamond shaped pockets (lozenge cap pockets). The vast VIIPLUS range also includes a series of entirely bronze bushes, originating from the 090 series, with the difference being that the spherical and lozenge pockets on the sliding surface are replaced by through-holes (092 type), therefore with greater lubrication capacity and high resistance against chemical agents.